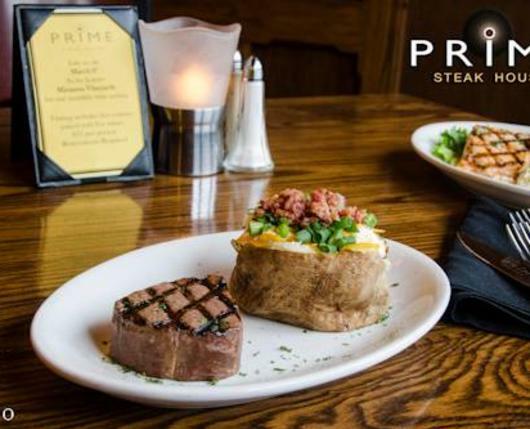 Present this coupon to receive 10% off your next meal at prime. Disclaimer: Not valid on holidays. Not valid in combination with any other offers. Not valid on wine tastings. Not redeemable for cash. Excludes alcohol purchases.